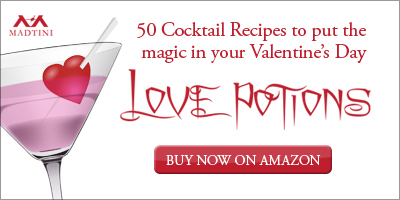 Your friends the amateur intoxicologists here at Madtini Research Laboratories have come up with a number of Madtini Original cocktails to celebrate Valentine’s Day. Just like the red hot cinnamon hearts that give this cocktail it’s name. The combination of cinnamon and champagne really sizzles… when you drop the cinnamon hearts into it … mmmm…. the sizzling begins…. In a cocktail glass pour cinnamon schnapps, then sparkling wine, then drop 3 cinnamon hearts in. 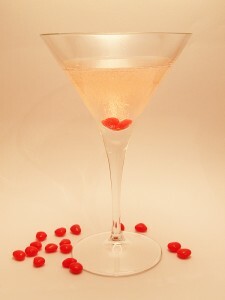 The cinnamon hearts create a sizzling reaction with the sparkling wine creating a sinfully stunning cocktail.